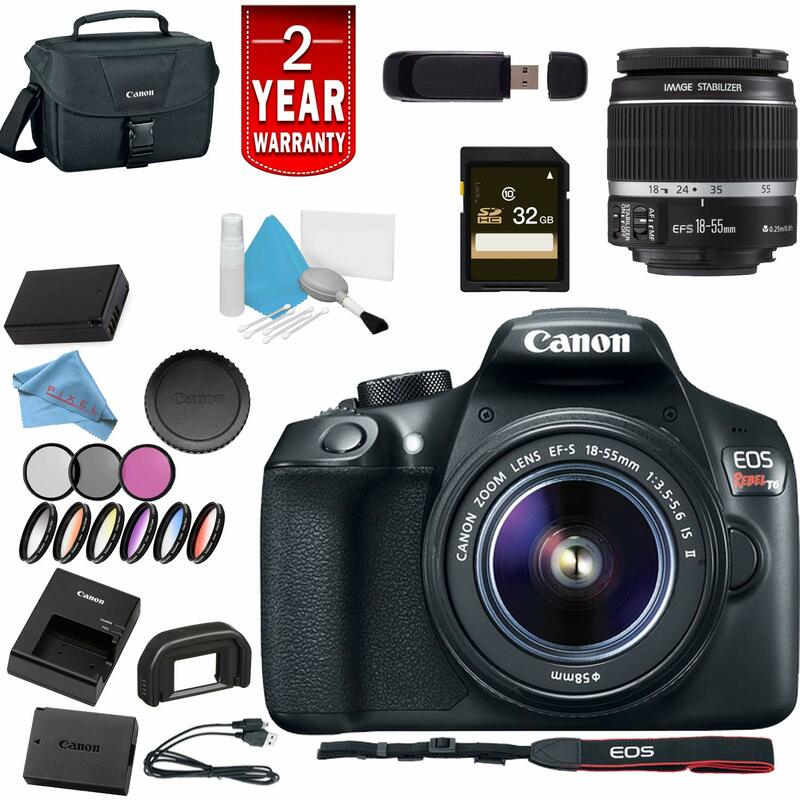 Comprising a versatile set of imaging capabilities along with support for a connected workflow, TheCanon EOS Rebel T6 DSLR Camera is a compact, sleek DSLR featuring an 18MP APS-C CMOS sensor and a DIGIC 4+ image processor. Combined, these two technologies avail rich image quality with reduced noise, along with a native sensitivity range of ISO 100-6400 that can be further expanded to ISO 12800 to suit working in low and difficult lighting conditions. The sensor and processor also enable the ability to shoot continuously at 3 fps for photographing moving subjects, as well as recording Full HD 1080p/30 video. Benefitting shooting with the optical viewfinder, a 9-point AF system incorporates a single center cross-type AF point for increased accuracy and focusing speed, and a contrast-detection focusing system offers refined autofocus precision for shooting movies or working in live view. The rear 3.0″ 920k-dot LCD offers a bright, clear image for playback and review, and built-in Wi-Fi with NFC also offers the ability to wirelessly share imagery from your camera to a linked mobile device for instant online sharing.